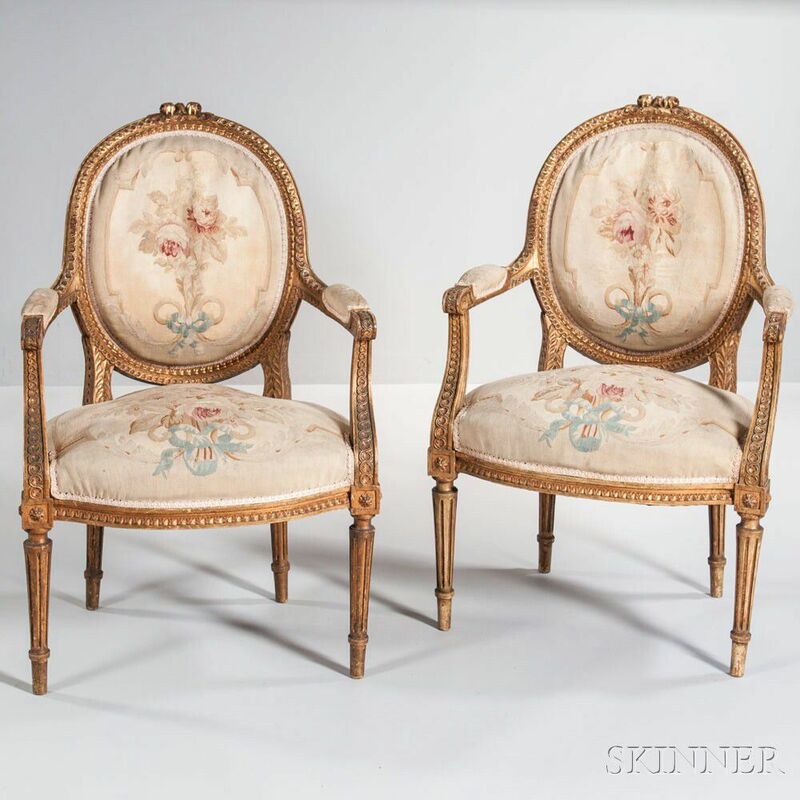 Pair of Louis XVI-style Tapestry-upholstered Fauteuils, France, 19th century, gilded and painted wood-framed padded oval back, crest topped with rosettes, open padded arms, over a bowed covered seat, on tapering turned channeled legs, ht. 37, wd. 24, dp. 21 in.